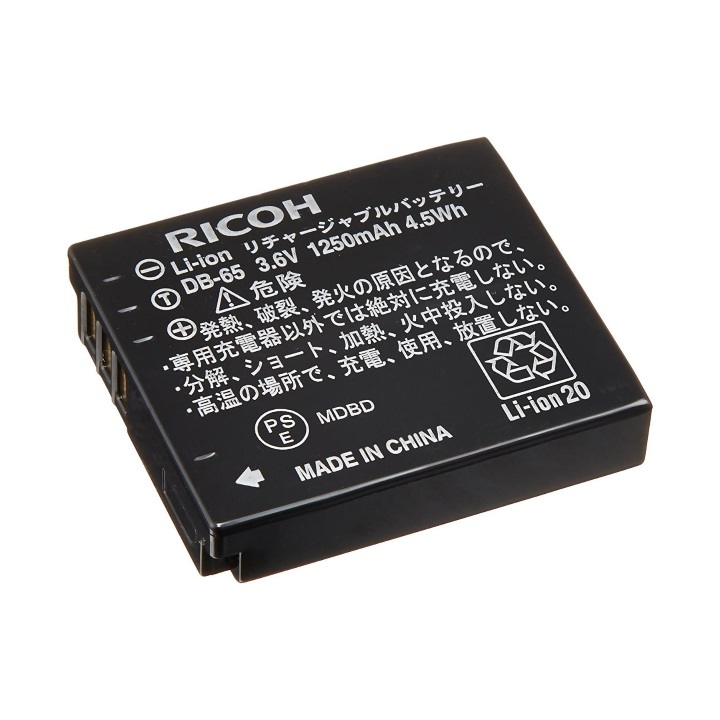 The Ricoh DB-65 Li-Ion Rechargeable Battery is compatible with the GR Digital Camera, GR Digital III, GR Digital II, GR Digital, Caplio R5/R4/R3/R30/GX100, G700, and G600 cameras. 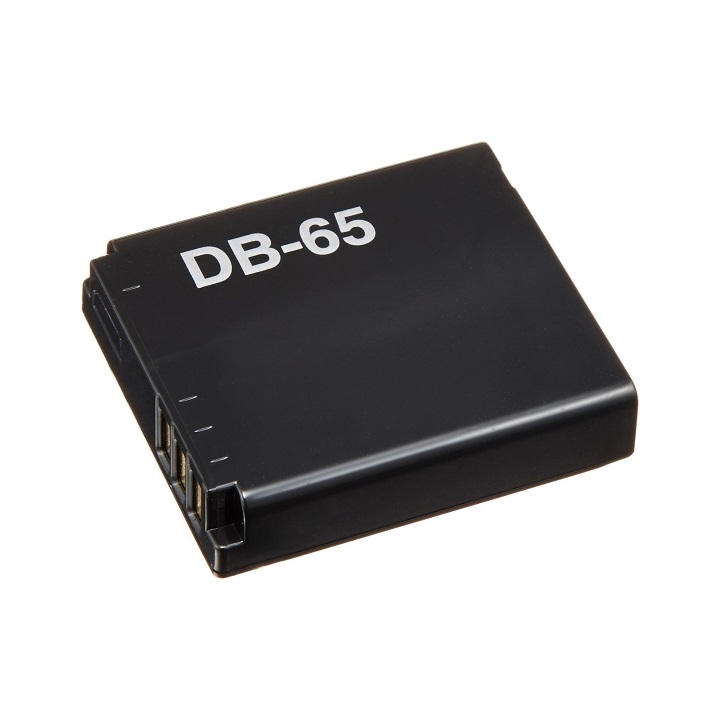 Use battery charger BJ-6 for this battery. Exhausted batteries take about 2 hours to charge. Depending on the camera model, conditions, and operating style (for instance, depending on the shot frequency and whether or not you have LCD Auto Dim on or off), you can take well over 300 pictures on a single charge.